The black with red trim Bag-8 Heavy-Duty Carrying Bag for Mics from VocoPro is a handy way to transport and store your mics. With its capacity for 8 mics, each one is supported within a separate foam slot so there's no danger of your gear rubbing together. The polyester bag is secured with a dual zipper and carried by two top handles. 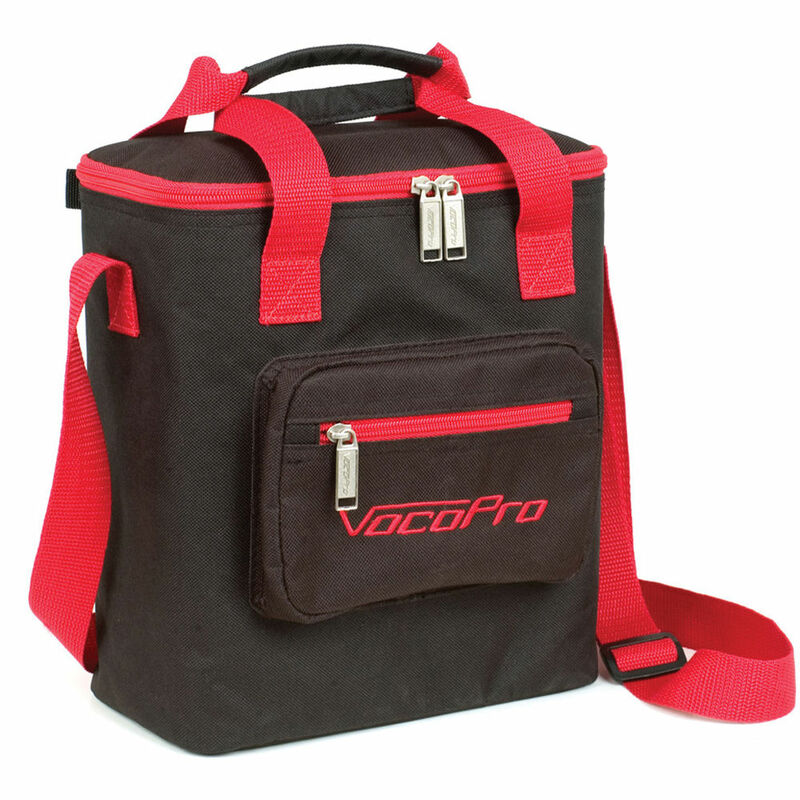 The front of the bag has a convenient zippered storage pocket for small items. Box Dimensions (LxWxH) 13.8 x 9.5 x 5.3"